This heavy duty router enables Signquick to quickly cut signage and display materials such as PVC and Gatorboard. It also quickly cuts other kinds of plastic as well as many types of metal and wood in thicknesses up to 2". This CNC router gives us the ability to produce almost every component of a project completely in house. This means we have total control over the quality of the finished product and we can provide faster production time. This CNC router has the ability to cut standard to very complex 2D and 3D shapes out of substrates as large at 5 x 10 ft. 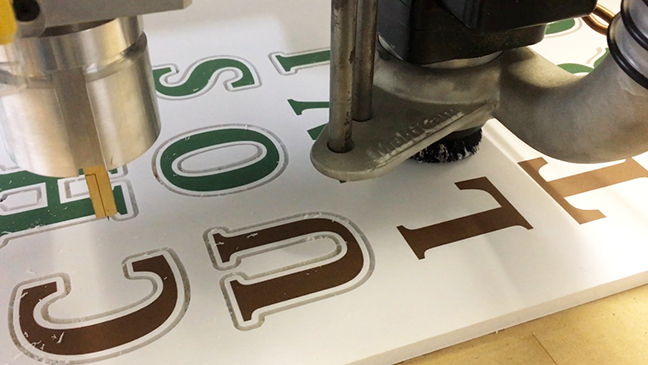 Applications include cutting aluminum and Plexiglas to mount display graphics, stand-alone rigid signage, 3D logos, and channel letters. 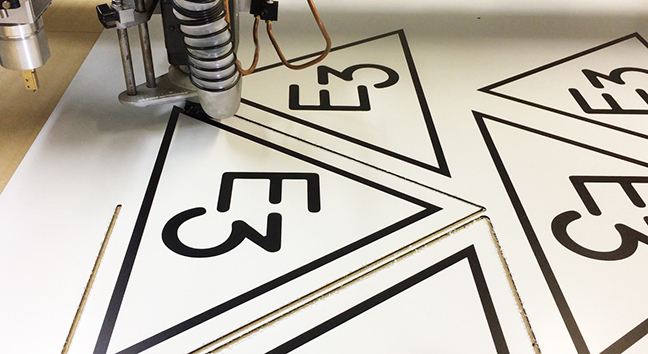 We can also cut decal material quickly. We offer router services for customers in Seabrook, Kemah, League City, La Porte, Pasadena, Deer Park, Houston, Galveston, Webster, Alvin, Friendswood, Baytown and beyond.